Are you looking for a once in a lifetime skiing experience far up north? Do you want to be surrounded by glaciers; beautiful mountains and the midnight sun all day and all night long? Want a great winter camping experience where you learn all the tricks to stay comfortable? Then join on this exclusive private adventure! 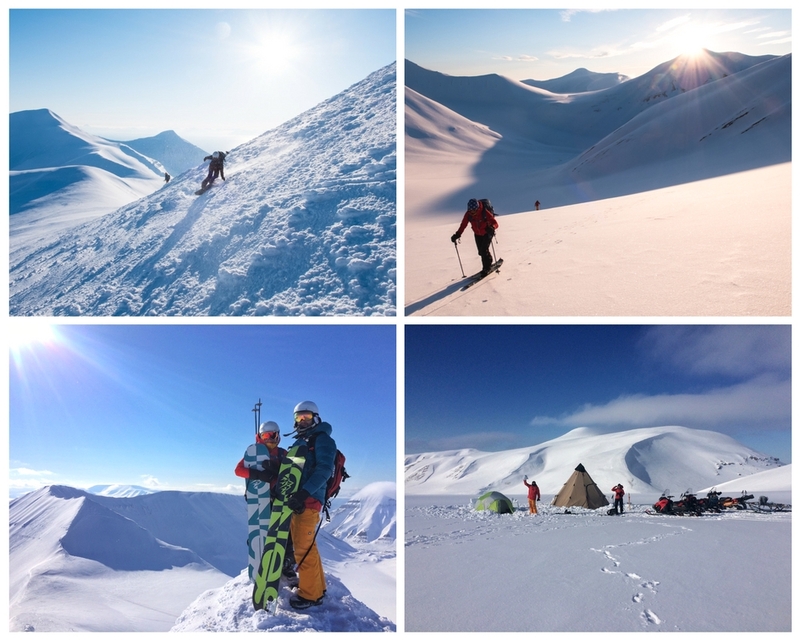 We have a tent base camp on the isolated Knorring glacier, located on the Northern side of Nordenskiöld Land. This will be our access point to the playground of mountains surrounding us. For example the views from the top of Knorring mountain are stunning and the ride down a joy. This is a rarely frequented spot by anyone except occasional locals who know of the secrets this place holds. Snowmobiles will be our mode of transportation as they give us increased freedom of movement so we can explore more options and ride more awesome lines. Check out the video from last years Ski Arktis Adventure with Jack & Linda for a glimpse of what you can experience. Dates are flexible as this is an exclusive private trip tailor made for you.